Not according to people like Samuel Zane Batten and Frederick Charles Hicks. These guys were both involved in efforts to introduce aspects of the coming New World Order (NWO) nearly 100 years ago. Their books are listed below and downloadable copies can be obtained at the links included. You now have no excuse not to read these two books or at least familiarize yourself with them because I’ve put them in front of you. How do you like me now? The reality is that Christians need to wake up to the fact that as Dominionism sweeps America and the world, we are being sidetracked into thinking and believing that if just work hard enough, we can push back the tide and even change the direction of what Satan has been working very hard to create. What many Christians seem not to realize is that God is ultimately allowing Satan to bring forth this New World Order, over which he will rule via his spiritual son, Antichrist. I’ve stated that repeatedly here because I firmly believe it needs to be stated repeatedly until it actually sinks in. The New World Order is on its way and the two books above from the early 1900’s highlight exactly how this new world system will be brought to fruition. It clearly has been a very slow and painful process, but many presidents and other elected officials along the way have done their bit to build the NWO. Anyone who knows anything about actual history understands all that President Woodrow Wilson accomplished. Under his administration, the United States got their “central bank,” which is not allowed under the U.S. Constitution. It’s called the Federal Reserve, but it is ultimately simply a bank that controls financial resources of America. That should not have happened, but it did. This is how the Elite has managed to gain control over every other country by gaining control over their finances and financial structure. Wilson did many other things that ultimately helped the Elite build their coming NWO. FDR was another president who – against the tenets of the U.S. Constitution, began establishing socialist policies due to the Great Depression. Some historians argue that many of his policies actually extended the Great Depression, not cut it short. Be that as it may, the truth is that socialism in any form is not allowed under the terms of America’s Constitutional Republic. Most don’t know this or care. Of course, the problem today, it’s all about “me” and that person’s “felt needs.” People do not realize that the Elite create situations like the supposed need for the Affordable Healthcare Act and are then quick to offer the “solution” to the unsuspecting public. The Elite is devout in using Hegelian Dialectic to bring certain things to fruition, which in the long and short of it, are simply part of the larger picture. I wish Christians especially would wake up to the realization that the New World Order is on its way, with Satan long ago having been giving permission to bring it about. In fact, I believe he almost had it way back in Nimrod’s day (Genesis 10), but God’s timing was not there yet, so God threw a huge monkey wrench in Satan’s plans (Genesis 11). Once God introduced languages and cultures into humanity, it forced Satan to literally start over and rebuild but it has taken him quite a bit longer. Why did God allow Satan to start over? Why didn’t God just say “no” to Satan permanently? For one thing, it has always been God’s plan to allow Satan to attempt to fulfill his promises of Isaiah 14, to be “like the Most High.” God determined in eternity past to give Satan the opportunities he thinks he needs. If that means, allowing Satan to rule the entire world through Antichrist, that’s fine with God because in the end, God’s purposes will come to fruition. Second, the reason God made Satan effectively start over again is because Abraham had not been born, Israel had not been created, and Jesus – the God/Man – had not been born of Mary from the nation of Israel. It’s really that simple! 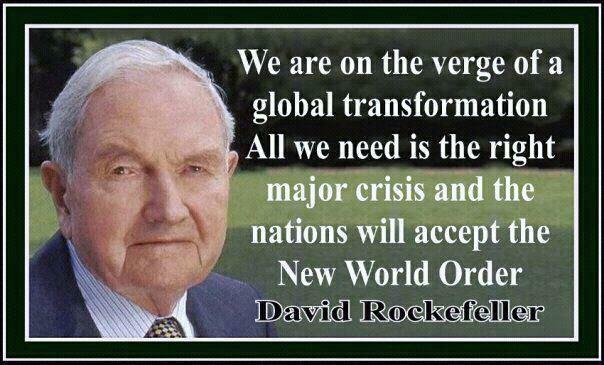 I firmly believe we are on the last leg as we watch the final vestiges of Satan’s NWO take shape. It will happen because God wants it to happen so that His absolute and physical victory over Satan’s spiritual son, Antichrist, will be seen by the entire world as He returns! This should cause us such great rejoicing that we find it next to impossible to not spread the gospel message to the lost of this world! Instead, what happens? Satan deceives many Christians into thinking that the real task is to take back control from him, the control that God allegedly lost. How absolutely absurd this is, but many are convinced that it is the truth and represents our true mission here on earth. No, and a thousand times no! We are here to introduce people to Jesus, not take back some control over the earth. Jesus Himself will do that when He physically and visibly returns to this earth and every eye will see that when it happens. Those same eyes will also witness the absolute defeat of Antichrist. Neither you nor I can stop what is being built and ultimately, what will cover this earth. God alone allows it. While we cannot stop the NWO from coming, we can continue to introduce people to Jesus so that they might embrace salvation. This is our calling, our purpose, the reason God leaves us here after we receive salvation. Entry filed under: Agenda 21, christianity, Cultural Marxism, Emotional virtue, eternity, Political Correctness, Politically Correct, Religious - Christian - End Times, Religious - Christian - Prophecy, Religious - Christian - Theology, salvation, second coming. Tags: frederick charles hicks, new world order, nwo, rockefeller, samuel zane batten. Well said, brother. The answer to your last question is that the majority of Christians are CINOs aka Christian Activists, not knowing the Bible and our divine commission to plant salvation seeds among the “many” or multi billions of persons who have walked or will continue to walk the wide way to eternal damnation into a real hell. Why? because the absolutely truthful Jesus said so. And I perceive, based on sparse feedback, this also applies to the majority among the 5000 + readers on your website daily being fed spiritual bread. We are currently witnessing the early stages of mounting lawlessness and global chaos that may lead to the prophesied dictatorial anti Christ to restore global order in the 7 year Tribulation. But our merciful God will rapture ALL true believers before the ant- Christ begins his rule and spare them the prophesied unprecedented persecution and suffering in the second half of the 7 year dictatorship. PTL! I think you nailed it! I couldn’t agree with you more, quite frankly, and I appreciate how you worded it. We are on the cusp and our job remains the same in good times and bad, persecution or non – to preach the gospel to people from all nations until either He returns or He takes us home.